Thanks to Donald Trump, the dangerous legacy of Barack Obama has been erased. The Presidency of Barack Obama was characterized by radical policy shifts—the implementation of Obamacare (the first steps toward socialized medicine); unprecedented expansion of the big government regulatory state; the prioritization of pie-in-the-sky environmental concerns over jobs and economic growth; a foreign policy based on secret dealings, appeasement, and “leading from behind”; and a concerted effort to institutionalize political correctness in colleges, high schools, and even elementary schools across the nation. But within the blink of an eye, nearly the entire Obama legacy has been undone before the end of Donald Trump’s first term in office. This remarkable book details the scope of the Trump upheaval, exploring the destructive path Obama set the nation toward, how Trump has begun to right the ship…and how much more still needs to be done. Many of the Americans who voted for Donald Trump did so simply to oppose the Clinton machine and to block a continuation of the Obama era. They had little hope or expectation that Trump would make good on his promises to undo the entire Obama agenda. 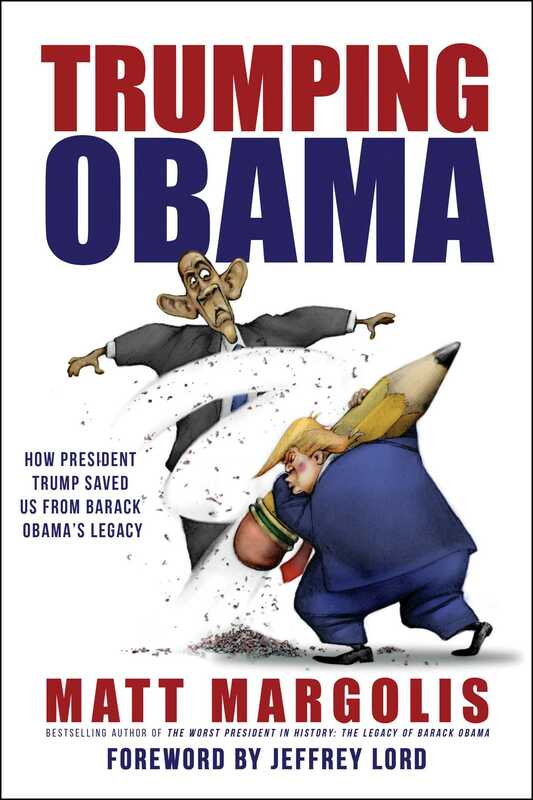 This book not only details how Trump made good on those promises and saved America from Obama's legacy, but also makes the case for why Trump deserves reelection in 2020.